RV Show Special Pricing: Fact Or Fiction? If you’ve ever attended an RV Supershow you know just how tempting the RV specials can be. Salesmen are hungry for sales and seem willing to cut buyers a deal. But are those deals fact or fiction? Can you really save money buying at an RV show? This topic was recently explored by full-time RVers Rich and Kathy on their website Trek With Us. Here’s what we learned from them. 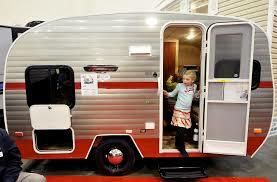 One of the best parts about an RV show is the opportunity to view tons and tons of different models. You can take a looks at everything from tiny teardrops costing under 5 grand, to Provosts and Newells costing upward of 2 million dollars. Where else can you see both ends of the spectrum without feeling any pressure to buy? Another important point is that all the RV’s are for sale. 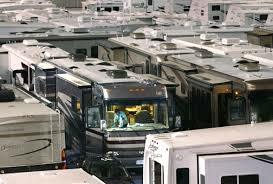 Look around, there are tons of RVs on the lot. And you can bet that it took a bunch of work to get them there. It’s easy to assume that the sales people do not want to drive them all back. Therefore, you can expect big discount prices displayed on each and every unit. While prices on RVs may be lower at a show, are they really the price you should pay? Probably not. While a new RV might have a MSRP of $116,000, at the show the price is only $99,000. Sounds good right? Wrong. That is actually a mere 15% discount. In most cases you could have gone directly to the dealer and got a better price and a deeper discount. Dealers aren’t trying to be dishonest, but they are certainly not giving the lowest price possible at the RV show. If you do want to purchase at a show, be sure you understand the true price of the RV you want to buy. Avoid paying thousands more than you have to, and don’t forget that sometimes purchasing a model just one year old can save you up to 40% off the current model. 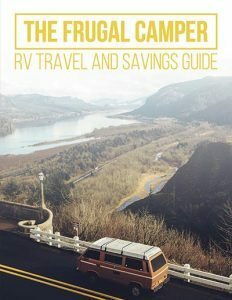 You can save a bundle on an RV if you follow a few simple steps. The first step is understanding the true price of your intended rig. Locate several dealers that carry the brand and model you are interested in. RVTrader.com is a quick way to compare prices all over the country. Choose a few that are close to you. The second step is to contact the RV dealer directly and ask the price. You are looking for the response or lack of response. If they tell you the online price is their bottom price, ask around. You may find others willing to drop their price if you ask. Feel free to email quotes from one dealer to the next. An RV dealer may match the price, go lower or offer you free service calls or other perks. Remember, not all models are the same. 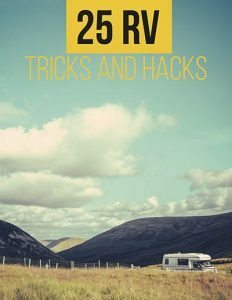 If one RV has a washer and dryer along with a tech package, you can expect that it will cost more than the one that doesn’t. Make sure you are comparing apples with apples. The third step is to repeat the process of sending prices back and forth to see who will give you the very best price. If a dealer can’t lower their price they will let you know. Remember, once you drive the RV off the lot the value will drop significantly. The only way to combat this is to save the most money possible with your original purchase. If you plan to buy a Berkshire or Thor (along with other models) be sure to consider MHSRV. At certain times in the year their units are offered at a full 40% off the manufactured retail price. They are able to offer this price because of the huge volume that their dealership offers. Take a day or two and visit their showroom. They will loan you a golf cart and send you on your way. You can explore to your heart’s content without any pressure. When you are ready to ask questions, their team is ready to give you the answers you need with a rock bottom price. One time offers are usually fiction. Rock bottom prices? Usually fiction. Do your research and decide what looks best to you. Remember, there are literally thousands upon thousands of RVs available on the market for sale. If you don’t see the right one, just wait. It is true that stock will vary and does sell out. The best deals are available mid-summer through fall and winter. Spring is never a good time to buy unless you are purchasing last year’s model. Add it all up. f you have to fly somewhere and drive a rig home are you really saving money? If your local dealer is only a couple of thousand dollars more and you don’t have to buy airline tickets and fuel, you may save in the end. 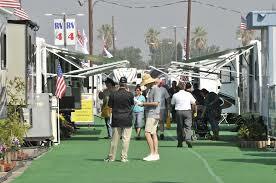 Negotiate your deal from home prior to entering the office of your RV dealer. Once the bottom price is clear you can take a test drive and see if you want to proceed. A word of advice: don’t waste people’s time. RV salespeople work on commission and their time is valuable. They are making a living just like you. Don’t yank their chain if you have no intention of buying from them. Be honorable and forthright. 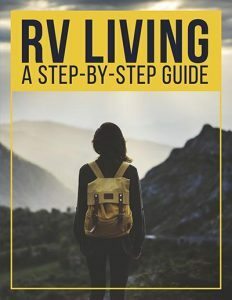 RV shows are a great place to look at a variety of RV models, get great ideas and purchase RV items like campground memberships and accessories. For most people, an RV show is not the best place to purchase a new rig. If the idea of attending an RV supershow gives you anxiety it may help to make a plan. Choose the type of RVs you want to look at. You can divide them by price, diesel pusher, travel trailer or length. Choose a focus and stick to your plan. Make note of how sturdy the unit feels. Pull out the drawers and open and close the cupboards. Note the finish work on the rig. What brand are the TVs and stereo systems? What type of flooring is used? What type of countertops are available? What floor plan for that type of unit appeals to you most? Quartzsite Sports, Vacation and RV Show – Quartzsite, Az. What do you think? 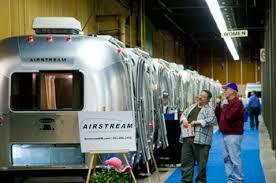 Have you ever been to an RV show? What did you like or not like? Were you expecting a great price Did you feel pressured to buy? Leave your thoughts in the comments below. Also, would you please tweet, pin or share this article with your friends? When you spread the word,it helps us continue to write great articles. Thanks!